It's tough to wholeheartedly recommend what is a problematic experience, but it's even more difficult to recommend against it. The life of a video game treasure hunter is a dangerous one. If the adventures of popular action-adventure characters have taught us one thing, it’s that sought after materials are usually well guarded by powerful curses, ancient armies or something similar. It’s this dangerous profession which Ayumi, the scantily-clad main character from Gaijin Entertainment‘s X-Blades, chooses to make her living with. 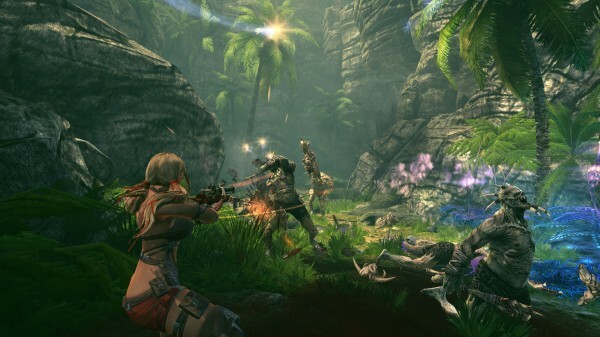 The young lass is back in a spiritual successor to the 2007 Konami release entitled, Blades of Time. This time around, her quest is daunting, dangerous and potentially deadly. Thankfully, time is on our controller-holding side. In our young heroine’s latest digital adventure, she finds herself on a strange island that boasts great treasure, which just so happens to be cursed by Chaos magic. As her job description suggests, the pigtailed badass has one thing on her mind: scoring loot. However, the first order of business ends up being a search for a lost ally named Zero. Those two quests combine to create a lengthy journey through multiple location-linking portals, delivering a campaign that is full of blade-slicing action, time bending puzzle solving, ancient mystery and hidden equipment. Like Devil May Cry‘s Dante, Ayumi is a character who likes to mix ranged gunfire with close-quarters blade work. Boasting several different sets of dual katanas, her melee attacks are bound to slice flesh, but evasion is key because health is presented as an unusually finite resource. Keeping tabs on your life’s blood is an important part of just about every video game experience, but it’s even more important here. Even on normal, enemies’ attacks can take a large bite out of the featured green bar, meaning that long range bullets are a necessary ally. Evading attacks while shooting hot lead at an enemy’s head or torso is usually the most efficient way to come out as the room’s victor, but getting in close also has its stylish advantages. In a game where battles take place in closed-in rooms with blocked off exits, strategy is key. It’s important to think about your attack strategy, in order to evade and conquer each of the many different types of foes that grace this disc. Being smart is the key to avoiding frustrating deaths and that’s another area where good health management comes into play. Ayumi has a life bar that is flanked by three med pack slots. Below, a special attack bar marks the strength of your available abilities. Continuous attacking fills said meter, which boasts two skull points and a final gem. Getting to the first mark allows for weak elemental attacks to be unleashed, while going further increases their severity. Every time the bar is filled to its maximum level, a new healing kit is awarded. Working for health is essentially what you’re doing, so make sure to use lots of ranged attacks to keep safe while doing so. 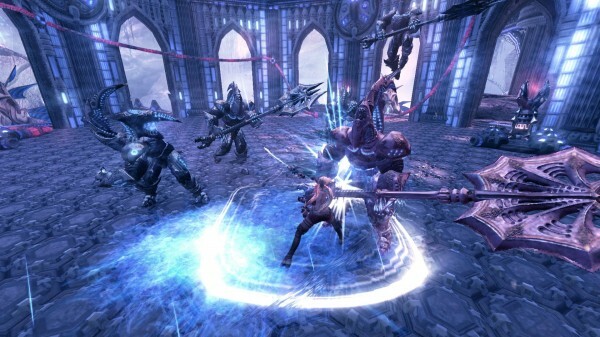 Blades of Time suffers from a lack of creativity within its core battle system. 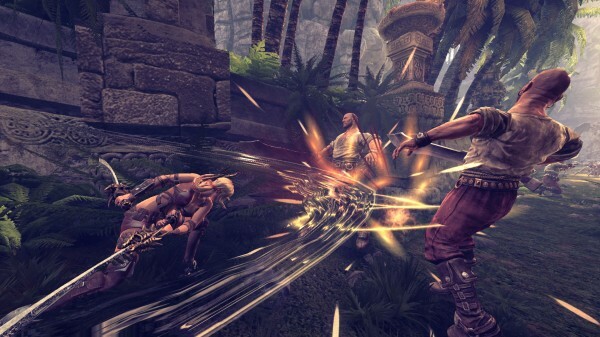 A regular melee attack is accompanied by a heavy attack, and that’s pretty much all you get with the blades. Mixing the two effectively can lead to some elegant-looking attack sequences, but there’s just not enough to the design. Sure, hitting an enemy into the air to continue combat is a pretty spectacular sight when it’s done right, but there needs to be more flourish than that in order to create a memorable combat system. Adding in the ranged weapons helps, but their inclusion is a bit clumsy, especially when the machine gun and its terrible hit ratio comes into play. Still, despite these drawbacks, the game ends up being a fun way to beat up on some ancient baddies, as long as you don’t mind repetition. Even though many of its elements have been seen before in other, more elegant titles, Gaijin Entertainment does have one ace up its sleeve with its latest release. That would be the ability to rewind time, which allows for the creation of active clones. Pressing a select shoulder button will initiate this effect. Holding it will have time going backwards, where Ayumi’s previous movements will be mimicked by a red-tinged clone. It’s possible to have several of these allies going at once, meaning gamers will quickly learn how to turn one into two and two into three. All attacks landed by those seemingly immaterial characters will count towards an enemy’s total accumulated damage, which ends up being of great assistance. Overall, this system works really well, and it can be mentioned as the one element that keeps this game from being average at best. Throughout the course of what is a budget $40 release, all of the aforementioned elements and tactics must be used intelligently. Blades of Time is not an easy game by any means, and it can become frustrating at certain times. Keeping a level head will almost always allow players to prevail without increasing their blood pressure by too many digits. There’s a good six plus hours of content to be found in a campaign that spans quite a few different environments, including a flora-filled jungle, a wintry cliff side and an expansive desert where sun exposure means a quick death. Button mashing fun will be found by those who appreciate this type of project, but there’s nothing here that will wow you outside of the mentioned time bending and the few impressive puzzles that it provides a basis for. At the beginning, I was underwhelmed by what seemed to be a rather standard game, but its fun factor increased as time went on and I eventually found myself immersed within its convoluted tale. However, a few annoying aspects were always there to mar the overall experience. Technical issues lead to framerate slowdown, animation glitches lead to characters with dead eyes and cheap deaths weren’t uncommon. The included combat system also emphasizes ranged attacks more than it should, but that’s far from the most grievous thing on this list. Worst of all is the fact that buttons would fail to register at times. Occasionally, pressing left on the controller’s directional pad wouldn’t do anything and death would result. At other times, attempting to initiate a cinematic counter or special attack wouldn’t work. As you can surely expect, those occurrences because frustrating quickly. Add in random difficulty spikes and minor rage will result. Rounding out this digital package of mixed results is a tacked on multiplayer mode known as Outbreak. Although it can be played as a solo jaunt, each of the mode’s three maps are meant to be tackled in co-operative or competitive play. You’re essentially taking over guard posts, in an attempt to overwhelm the opposing team. Enemies, bosses and special abilities are tossed in to provide Blades of Time flair, but there’s nothing exceptional about this offering. There are some great unlocks that can tweak gameplay, but they’re tough to use when others aren’t available to play against. I was forced to play alone, against the computer, because no human players could be linked to. Ayumi’s latest treasure hunting adventure is a colourful one. It’s made up of some nice-looking worlds, with almost every single one having its own unique style. Although the game does look somewhat dated, especially when it comes to its overly dark characters models and their tough to believe facial animations, it’s not without beautiful backdrops. The visceral action is also fast-paced and fluid, other than when framerate issues kick in. This trend carries over to the audio department where solid music and its accompanying effects are brought down by poor voice acting. Even though Blades of Time is not a popular culture phenomenon or one of the most-wanted titles on a video game store’s list, it does have a following of gamers who are hoping for a great experience from a familiar franchise. At a budget price, it’s easier to overlook the noted deficiencies, but no game should ship with button assignments that fail to register. Still, there’s quite a bit to like about what will unfortunately end up being an overlooked title. Those who’ve been waiting will find a decent amount of enjoyment. On the other hand, those who’ve maybe never heard of this series before can expect a game that works well as a weekend project. It’s tough to wholeheartedly recommend what is a problematic experience, but it’s even more difficult to recommend against it. 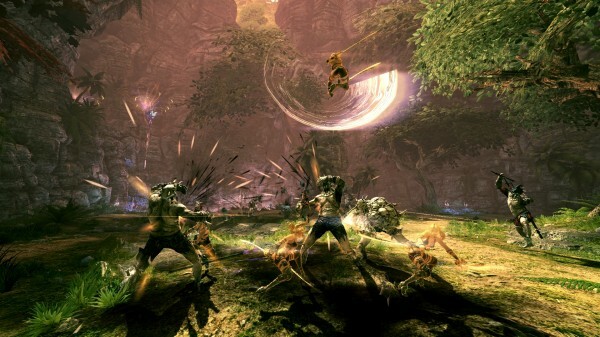 This review is based on the Xbox 360 version of the game, which was supplied to us for review purposes.